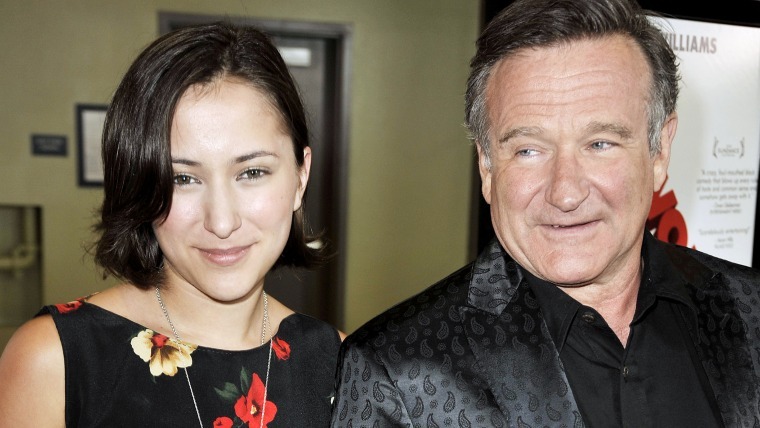 A month and a half after the death of Robin Williams, his daughter Zelda returned to Twitter and thanked fans for their support. "I just want to say thank you for all the stories and letters I've been receiving," she wrote early Tuesday morning, "especially from those who've also lost loved ones." Zelda, 25, noted that while she's mostly remained offline, hearing from people who have been in similar situations has helped her cope since her father died of an apparent suicide Aug. 11. The messages marked the first time the Academy Award-winning actor's daughter had posted to the site in more than two weeks. The day after her father's death, her account published three tweets to thank fans for donating to one of her father's favorite charities, St. Jude Children's Research Hospital, and issued a statement. She didn't return to Twitter until Sept. 1, when she suggested she'd been bullied by Internet users. Six days later, she posted a tweet that she said reflected her mood, but didn't post additional tweets for another 16 days. Among her Tuesday tweets was a response to a fan who'd welcomed her back to Twitter and posted a pic of her father's appearance on "Sesame Street." The late actor's last photo posted to Instagram was a shot of him with Zelda as a young child, wishing her a happy birthday, on July 31.